Sixteen years ago, Crouching Tiger, Hidden Dragon became the most iconic of martial-arts epics. With thrilling wire-work sequences and powerful direction by Ang Lee, it was a rare breed of Chinese picture that pleased mainstream audiences and critics alike. Thanks to its cultural influence, many more martial-arts pictures followed in wider releases, from the likes of Iron Monkey to Ong-Bak. But having seen so many such films since Crouching Tiger, both good and bad, I never had much of a desire to see the story continue. I realize it’s based on a novel series, but I never really saw the film as something that should branch out into a franchise. And as a sequel to such a touchstone of the genre, Sword of Destiny comes as too little too late. 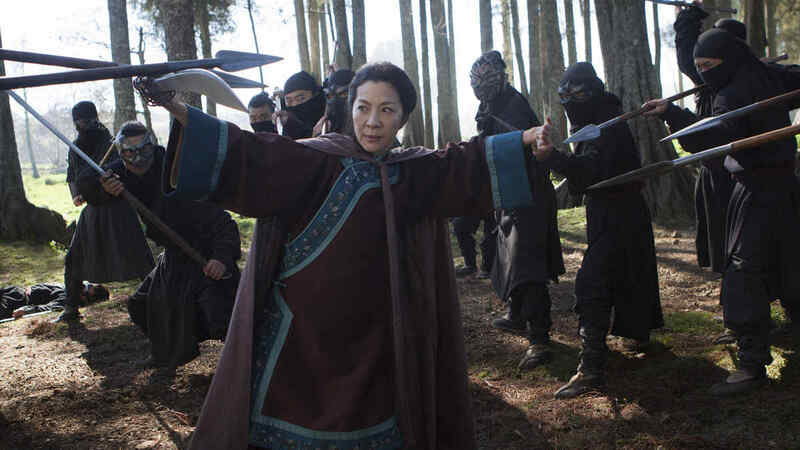 Michelle Yeoh returns to reprise her role as Shu Lien, a warrior who seems to have done nothing but sit in solitude since the first movie—though she’s still not too shabby with the sword, as in the opening scene in which she is attacked by warriors of the West Lotus clan. She couldn’t have picked a better time to come out of retirement, as the city of Peking has become a target of the clan for the famed Green Destiny sword of the first film. Despite Shu Lien’s still-stellar fighting abilities, she realizes she can’t keep fighting and decides to train the young Snow Vase as an apprentice. While a student-teacher plot amid guarding a sword is enough of a story, the script doesn’t end there. A mysterious swordsman known as Silent Wolf (Donnie Yen) is thrown into the mix as a warrior to defend Peking. Of course, he can’t do it alone either and employs some charismatic fighters to aid him. These four warriors have unique fighting styles and personality; they even have ridiculously adorable names, such as Thunder Fist Chan (a man who fights with metal braces on his arms) and Thunder Ma (a portly drunkard famed for drinking at a tavern). Sadly, it becomes all too clear from the lack of time spent with these characters that they are just fodder for the fight scenes and little else. And there’s yet another addition to the plot in the form of a caught thief from the West Lotus clan. Wei Fang is captured by Shu Lien and spends most of the movie in a cage, mocking and prodding until he is given the inevitable moment to redeem himself. He additionally has an overlong backstory that ties him to Snow Vase. And there are additional backstories weaved in on top of that just to make it seem like all these events, characters, and plots weren’t randomly stitched together. One of the many fight scenes we can’t be bothered to care about. Even at a brisk run time of 103 minutes, Sword of Destiny felt strangely boring. I never felt the same amount of emotional resonance as I did with the original Crouching Tiger. It could have something to do with the film being directed this time by Woo-Ping Yuen, the fight choreographer of the first movie. While Yuen does stage some nice fight scenes, the abundance of those fight scenes becomes monotonous with no emotional grounding. I suppose we’re supposed to care when (spoiler) Silent Wolf’s four warriors are slain in combat, but we never spend enough time with them to justify sadness. There should be some emotional attachment to the history of Shu Lien and the mysterious past of Silent Wolf, but they both waste too much of their time looking stoic, showing off their skills, and talking about the past to ever have a great deal of character development. All the dressing is there for some great fight scenes, including a classically evil leader of the West Locus clan and his blind female acquaintance who can duplicate herself in the shadows, but what’s the point of it all if the movie doesn’t give sufficient time to like the characters swinging the swords? You’re left with more of a run-of-the-mill video game than a movie at that point. 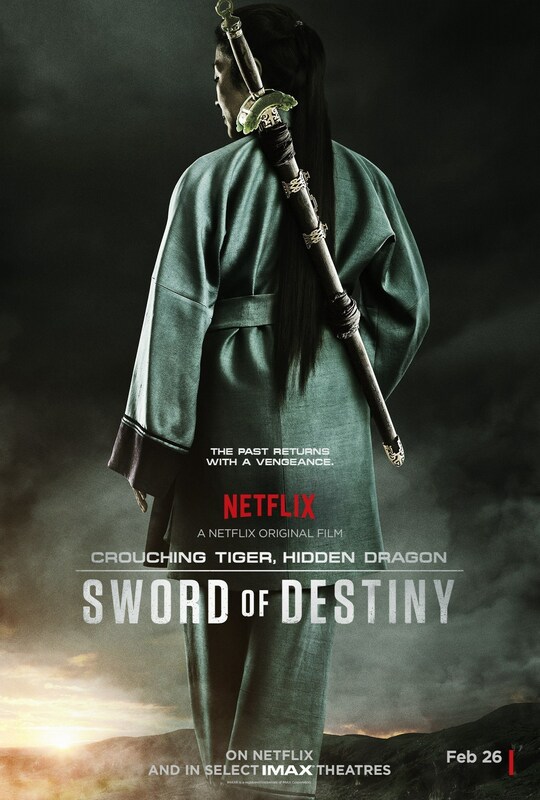 Crouching Tiger, Hidden Dragon: Sword of Destiny has too much going on and rarely anything to be invested in. The excitement of seeing warriors fly through the wind and battle with swords has lost its edge with a lacking script and tiresome direction. It also doesn’t help that this production was produced, written, and spoken for English audiences, leading to some rather stilted performances. While the original film had a grace and beauty to its bold and simple storytelling, its belated and unasked-for sequel is just as bland and generic as its subtitle implies.